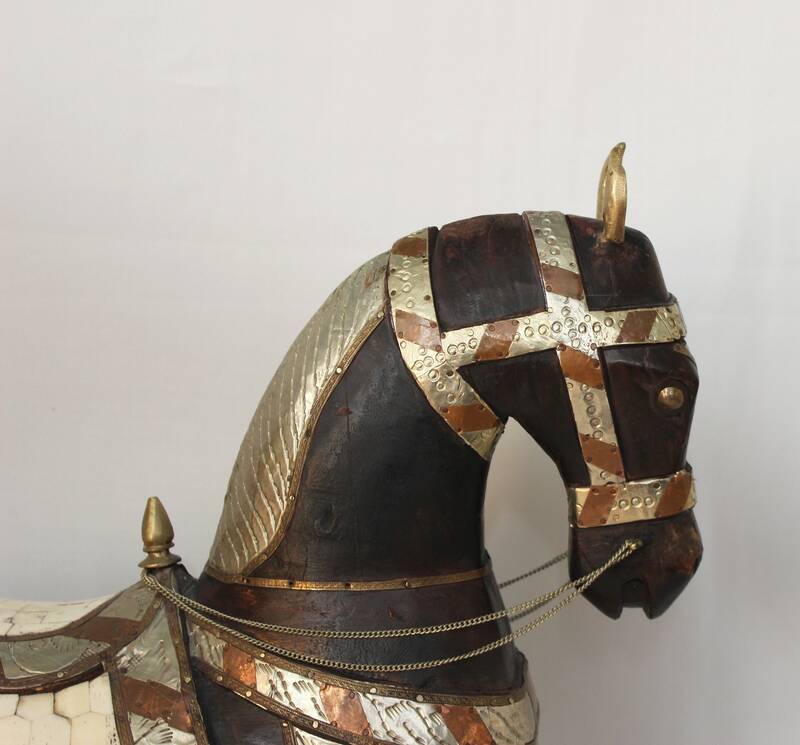 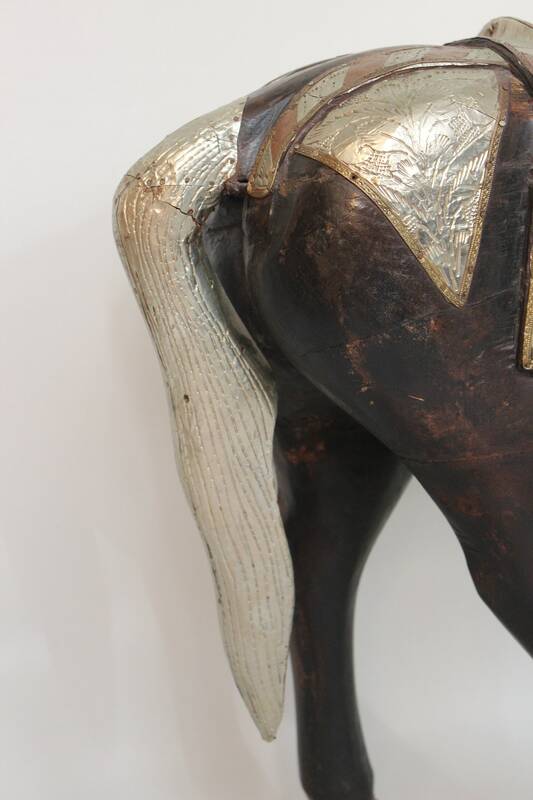 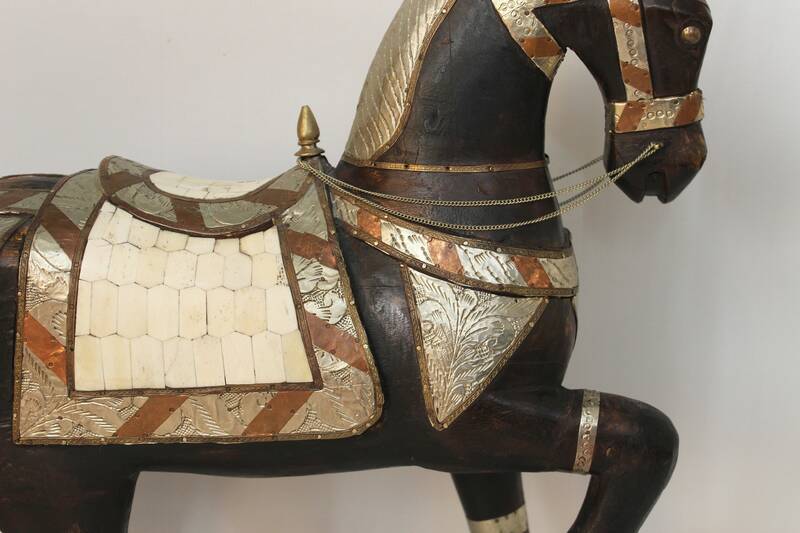 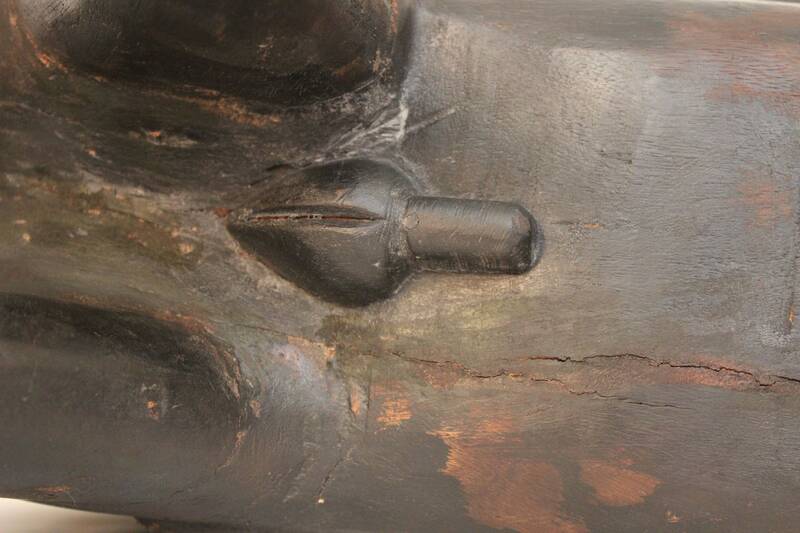 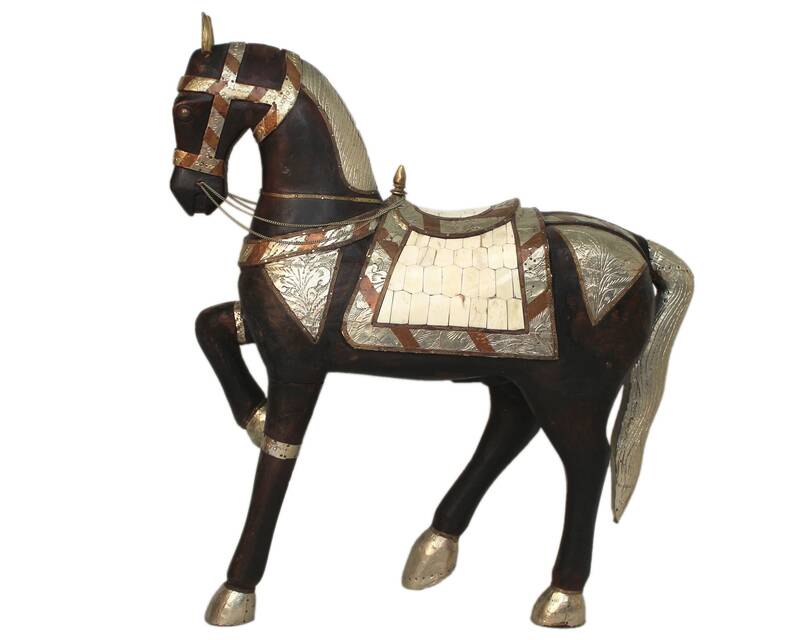 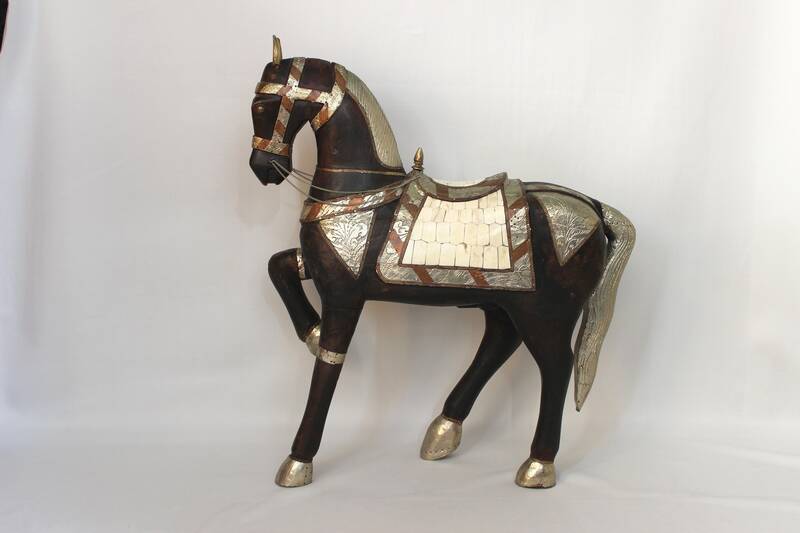 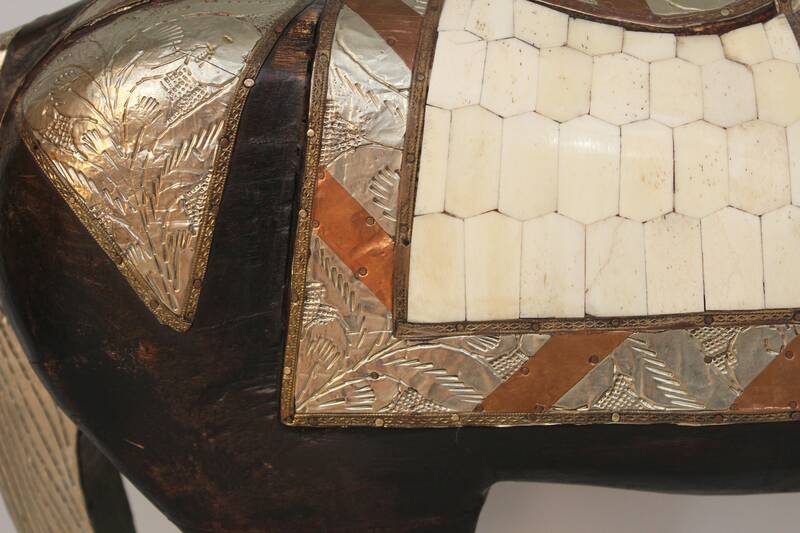 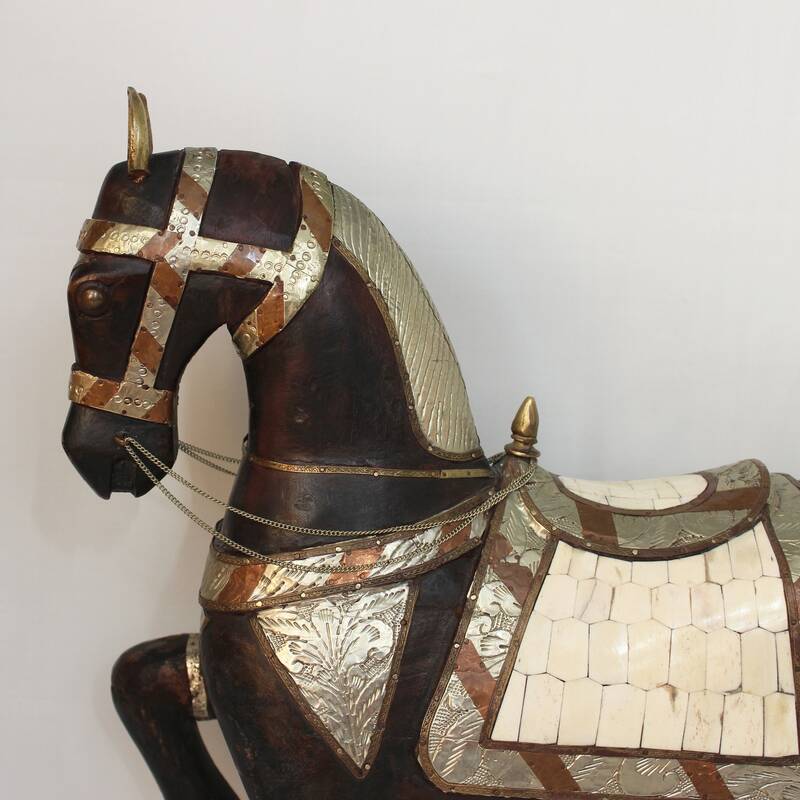 Fabulous wood carving of a horse wearing a metal decorated bridle and bone veneered saddle. 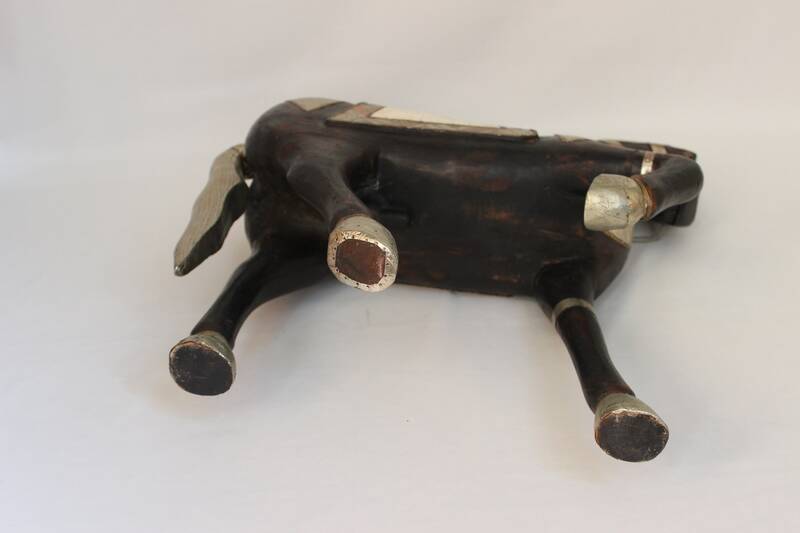 One of a kind. 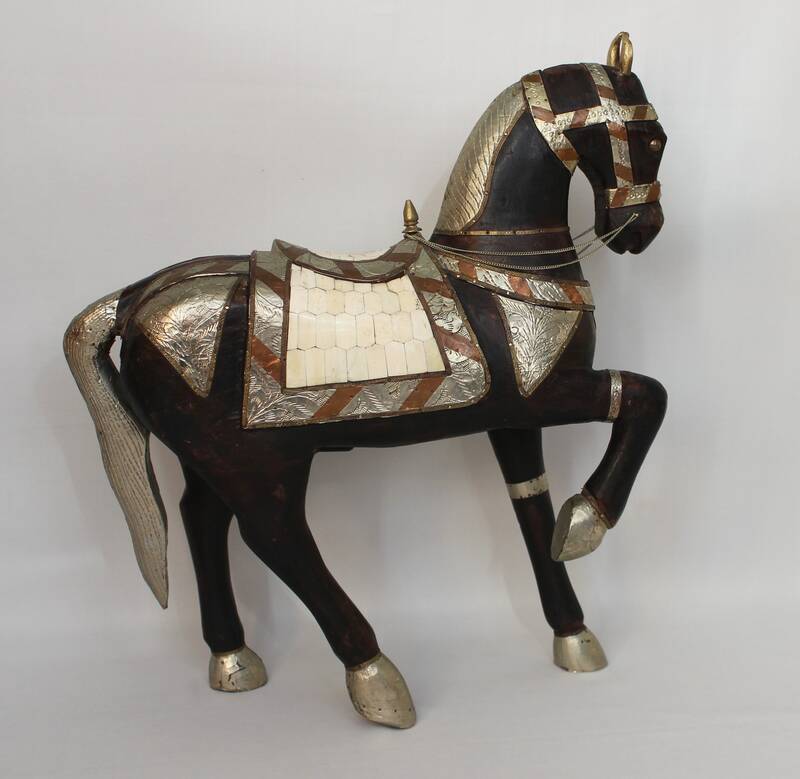 In great vintage condition.